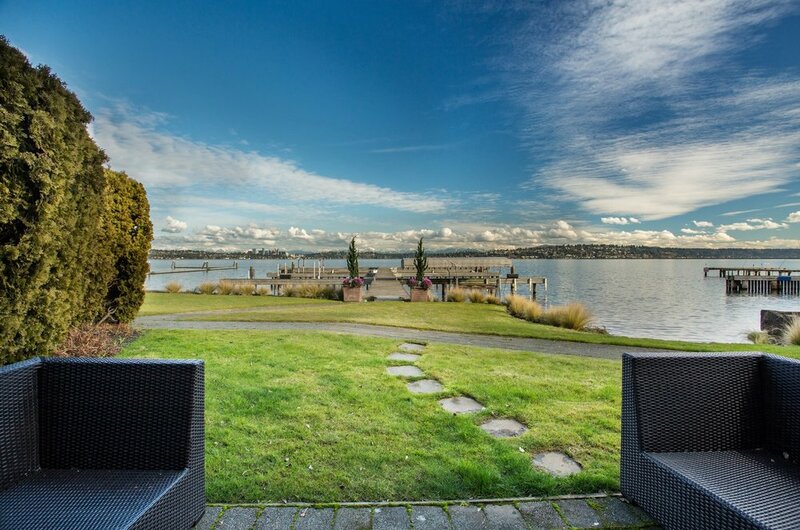 Lakeside waterfront living in sophisticated Leschi condominium with a boat slip included. 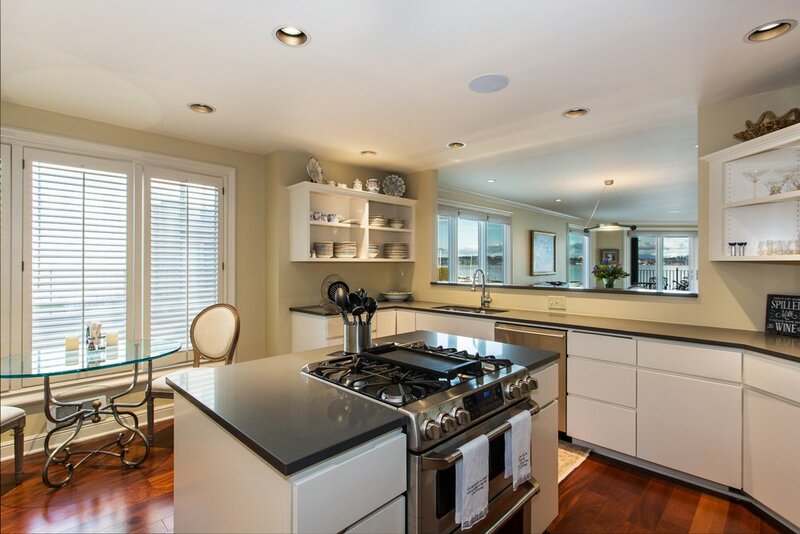 A 2,409 square foot home on two spacious floors with an open plan and luxury finishes throughout. Two bedroom, two bath home with office, stunning hardwood floors, custom built-in cabinets, extensive storage, new built in sound system, fresh paint and new carpet are the highlights. Walk a block for your morning coffee, stroll in the park or enjoy a meal at one of the local restaurants. 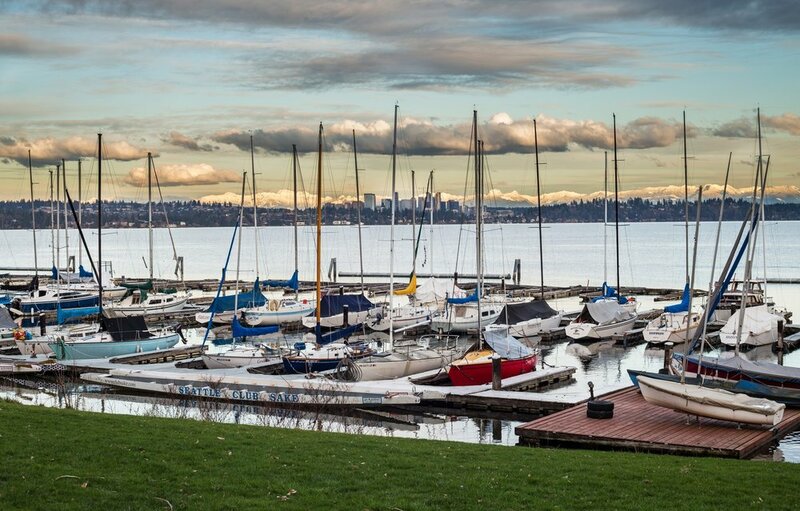 Leschi is close to downtown Seattle, with quick access to both bridges to travel to the Eastside. The lakeside boulevard, laced with parks and beaches, offers a perfect place to walk, jog or cycle and enjoy the beautiful scenery. Just next door is a sailboat marina. In the spring and summer evenings, enjoy the colorful sailing races from your terrace.